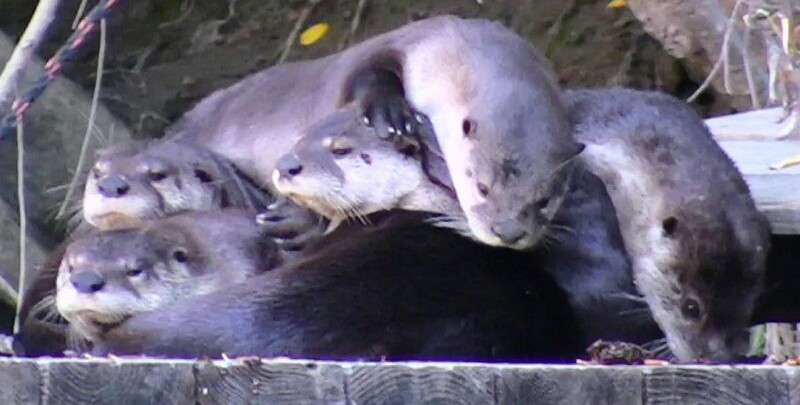 Wednesday September 12, 2018 Guerneville CA. 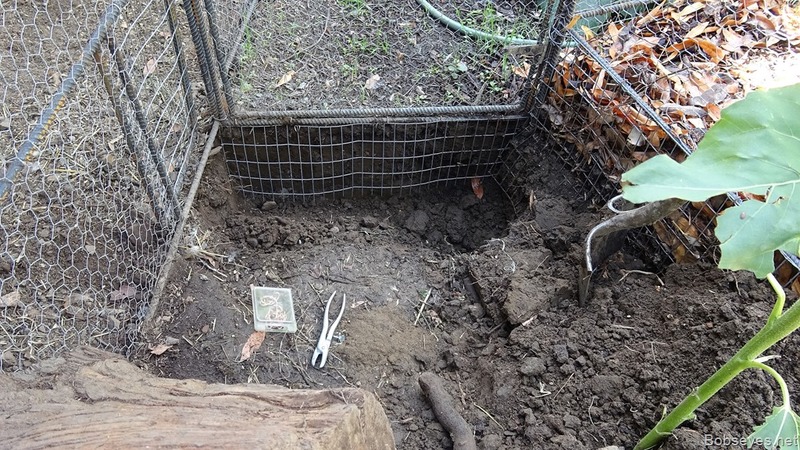 I dug out some more dirt to put some more critter proofing in more gates today. Here’s one of them with the wire in and ready to put some dirt back in the ditch. 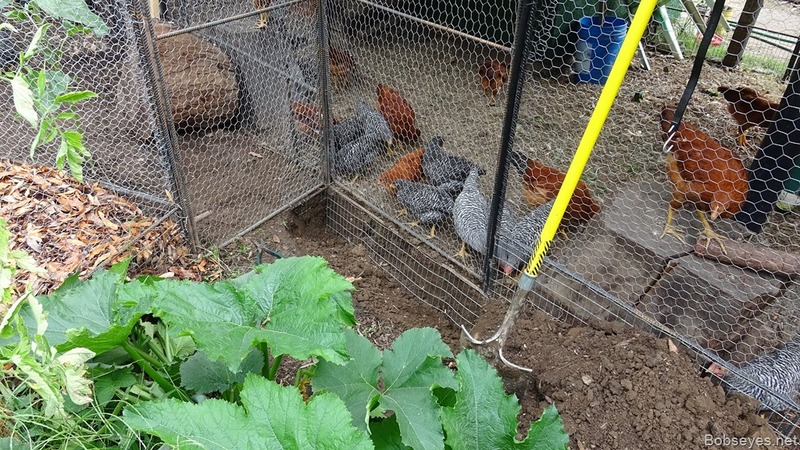 They’re not just to keep the critters from digging in, but also to keep the chickens from making holes under there from their diggings and scratching’s in the dirt as they do a lot of that always looking for something to eat. 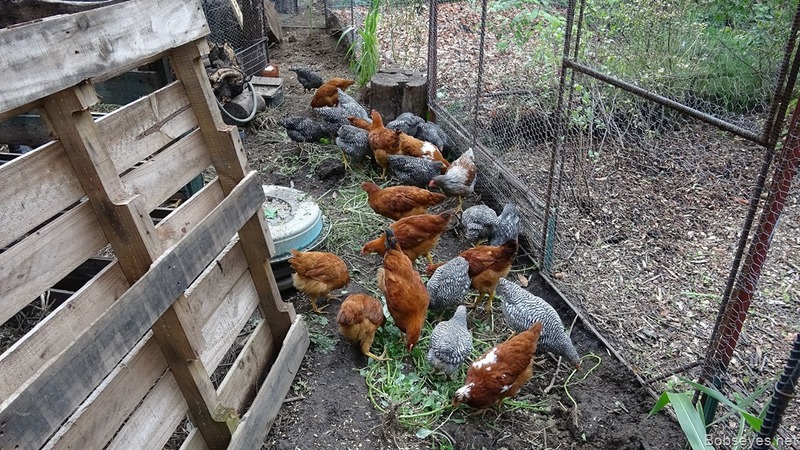 I penned the chickens in their pen so I could do the work and they weren’t too happy with that as they like to get into the dirt as I shovel it. 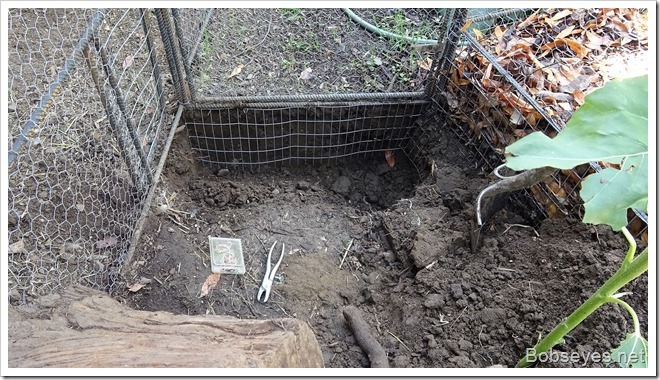 This was the fourth gate I installed the wire in the ground today. I installed the cabinet door that I glued together the other day back in the van and tidied that up a bit as I need to use the van to get some more project materials soon. That was an easy job. I also put the ladder up into my mulberry tree and trimmed out some of the small branches so the berries would be easier to pick. The branches were so close together that it was hard to get my arm through the branches to pick the berries. I think it’ll be much easier now. There’s only a few berries left on the tree as most of them are done, but I did find some to eat. 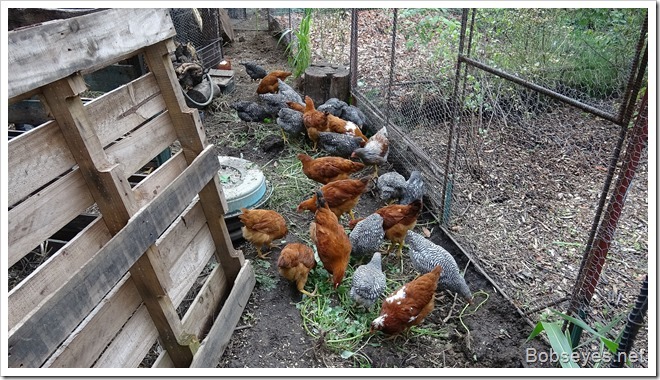 I pulled some weeds from my brother’s garden and let the chickens back in this run to eat them. They are happy when they are eating something new, it doesn’t matter much what. I puttered around most of the day. I did go over to my brother’s garden and ate a few of his carrots which were pretty good and I did some watering and did a lot of taking it easy. 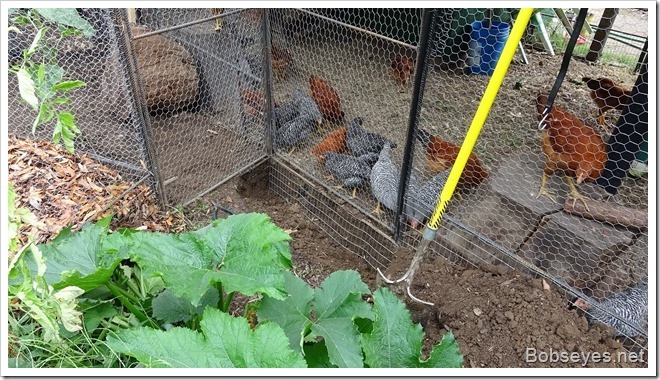 This entry was posted in Uncategorized and tagged chicken run enclosure construction, critter proofing chicken pens. Bookmark the permalink.